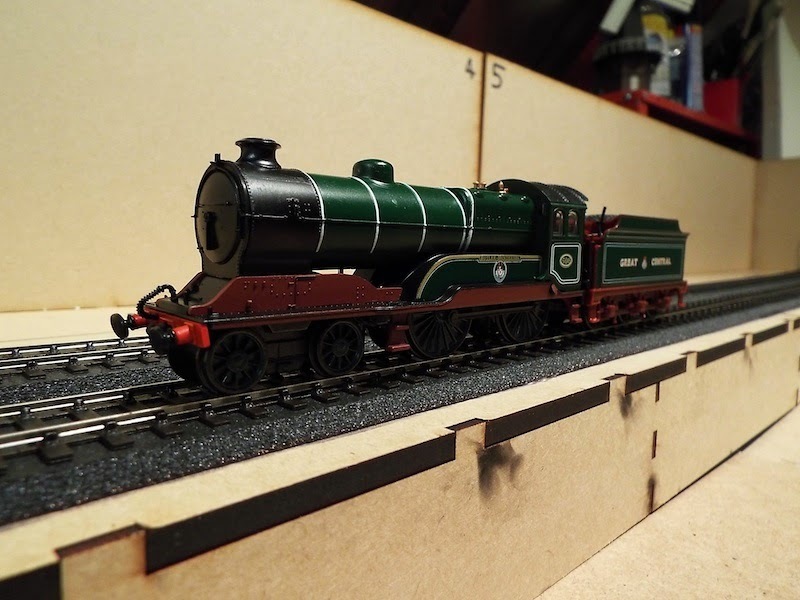 THE BRITISH RAILWAY STORIES LTD: "Some budget modelling…and Thompson's B3/3"
It's been a strange few weeks. I turned 27 last week and had a great week at work, culminating in a lovely night out with some work colleagues on the Friday. The sales of our book, Tale of the Unnamed Engine, hit a nice high with around twenty dispatched since we announced reductions in the price of the paperback. My latest romance hit the buffers abruptly - sadly for me, it was not to be. She was a lovely girl and I am sure she'll find someone special, because she was - is - special. Just not me sadly. 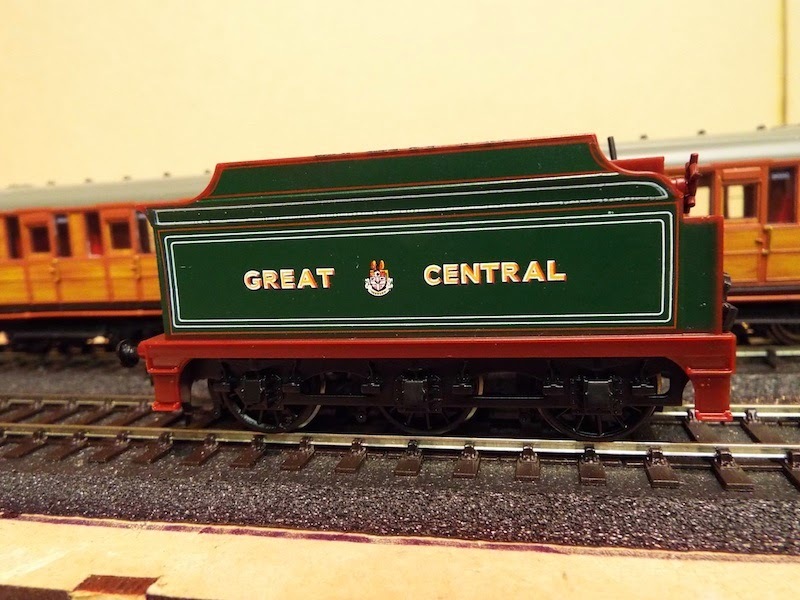 And in modelling news, my budget railway modelling took a much needed boost this week with the release of Great British Locomotives magazine's latest model - Great Central Railway no.506, Butler-Henderson. 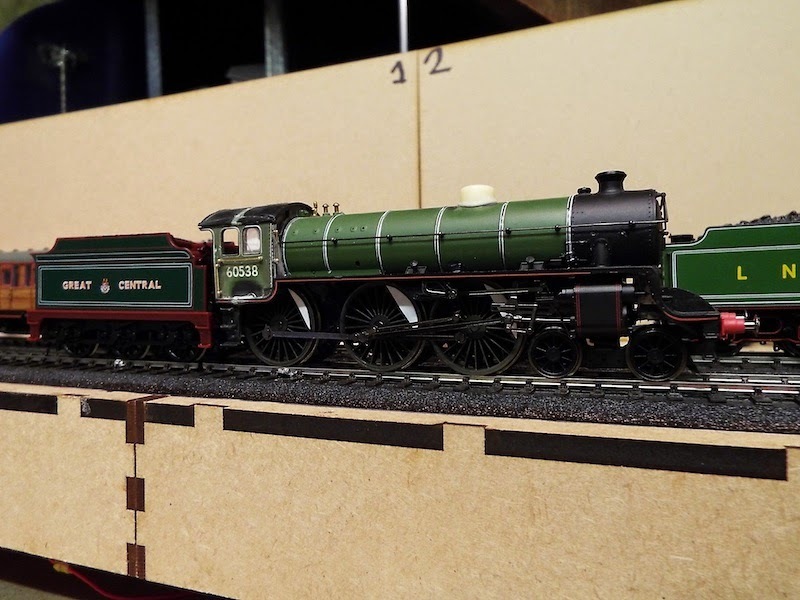 The model is quite clearly an extremely good reproduction of the Bachmann model. The price difference is around £120 as this retails at £8.99…! Overall, the model has a lot of modelling potential. Removing the moulded handrails and adding proper wire ones aside, the tender is the one item that will find use on layouts across the country. 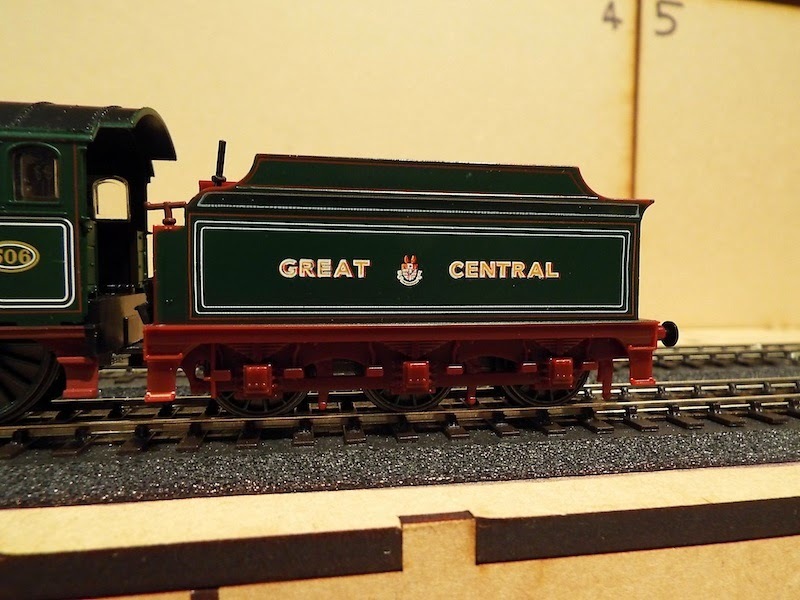 The body shell unscrews from the moulded tender frames and die cast wheels, and can with no modification whatsoever be fitted directly onto the tender frames of a Bachmann GCR or ROD tender, as demonstrated ably by mine. The body shell can be modified to screw onto the chassis quite easily by drilling two holes at the front and two at the back, and then screwing in the retaining screws from the original body shell. That's it job done! The reason for this? Providing the correct (or I should say, more correct) pattern tender for my Thompson B3/3 conversion. This model has been on the go for around two years and we are nearly on the finishing straight. I will be wiring up the tender pickups to the locomotive's chassis and finishing the body shell off in the coming weeks. 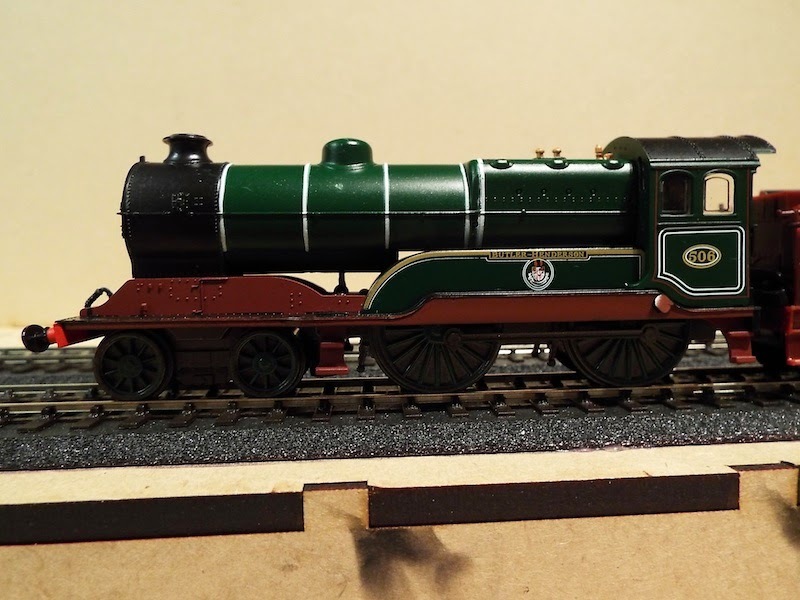 I haven't decided on whether it will retain fully lined out LNER apple green livery or be painted straight into plain black with LNER lettering on the tender and the number 6166 instead of 1497. That was pretty much it, except for the renumbering and renaming of the Thompson B1 in the background, no.1039 C.M. Hollingbery on Thursday evening of last week. It'll remain as such for all the time I am its owner. Until next time, enjoy the last of the summer sunshine in September. 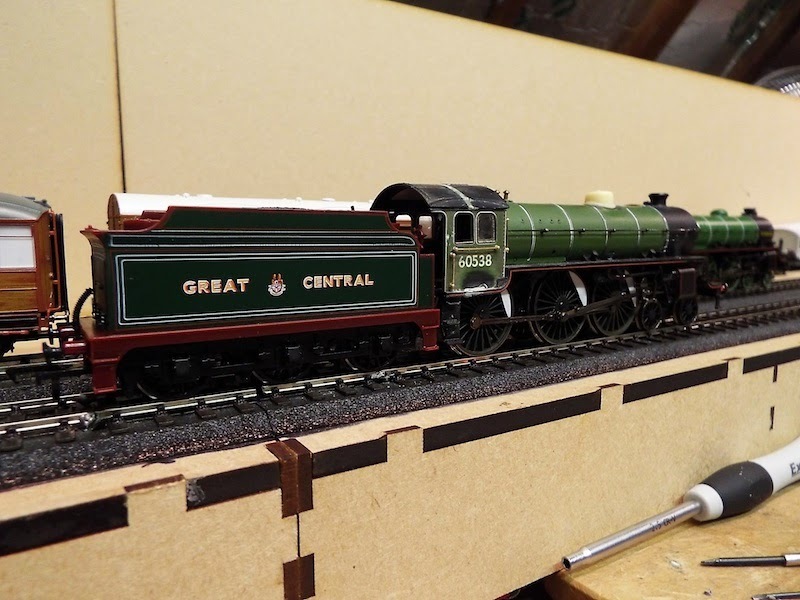 question for you... not having seen one of the great british locomotive magizine models up close would it be possible to motorise one of them without having to place a ready to run chassis under it? Perfectly possible to motorise but you will need some form of chassis. The die cast block with the coarse wheels on needs to be binned leaving the plastic body and running plate. 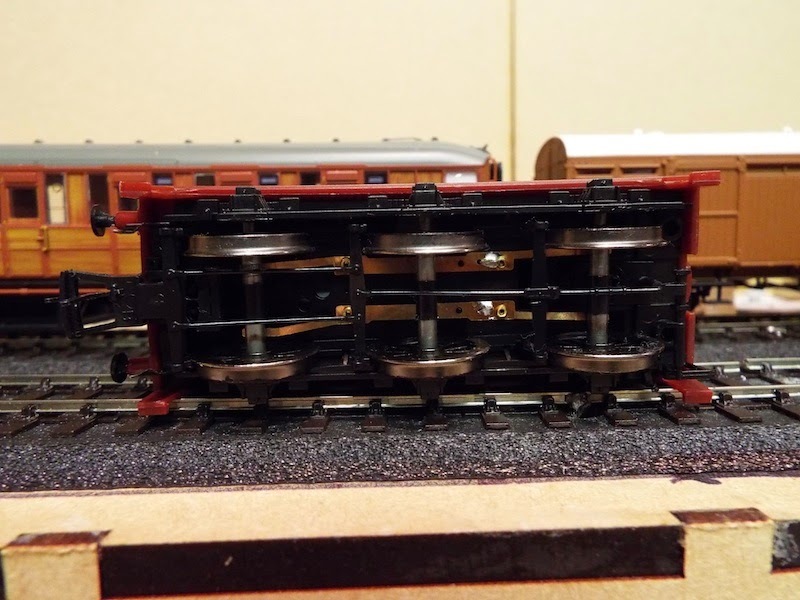 Drilling out the centre of the running plate and fitting an etched chassis would be ideal, however I suspect the D49 chassis from Hornby with mods would be the best (and cheapest) bet.